Circular outline. 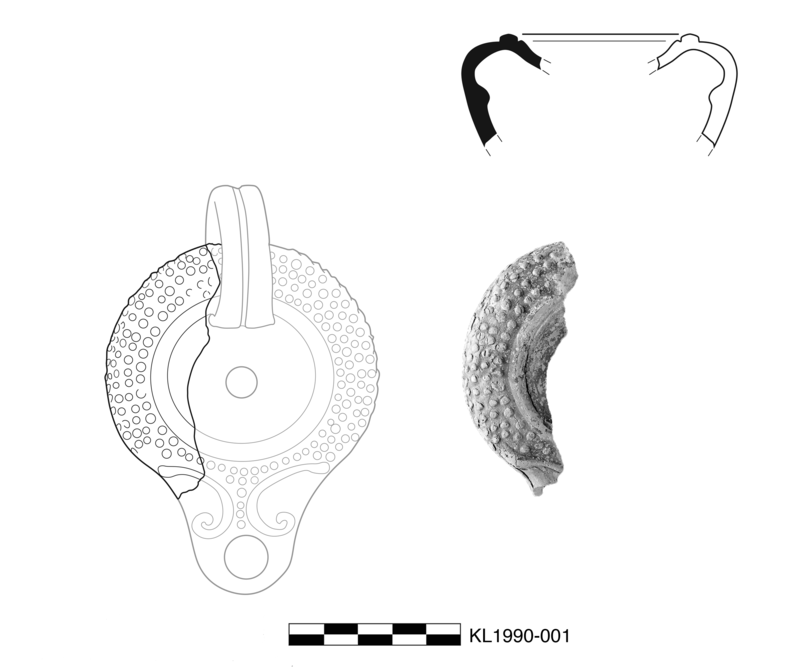 Circular, concave, apparently plain discus with rounded framing ring. Rounded shoulder has four concentric rings of globules. Volute nozzle. 2.5YR 6/8, light red. Early/Middle Roman Athenian lamp fabric: somewhat fine, hard fabric with rare, very small, white and black inclusions. 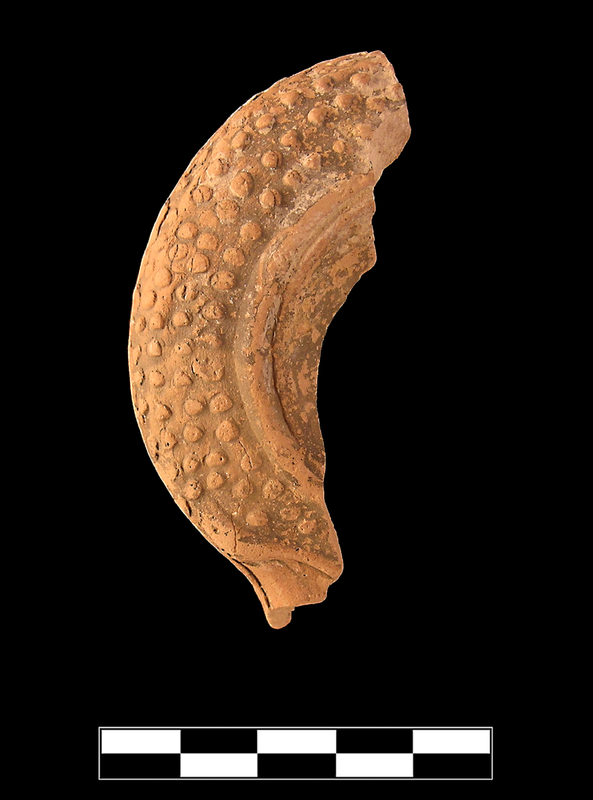 One large fragment preserves small part of discus and nozzle and roughly one half of shoulder. Well preserved surface but slightly flaking.